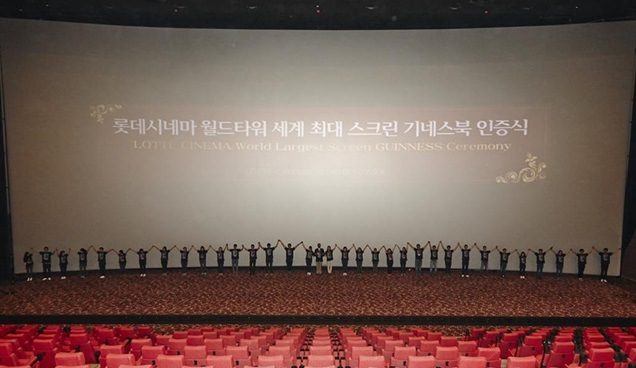 SEOUL, July 5 (Korea Bizwire) – A gigantic cinema screen at Lotte Cinema’s Super Plex G attempts to beat the Guinness World Records as the world’s largest screen. The screen of the multiplex cinema which will open at the Lotte Cinema World Tower, boasts its unparalleled size in the industry: With 622 seats — the largest available number of seats for a screen, the Super Plex G is an ultra large theater which looks like a two-storey opera theater in appearance. In its 34 meters wide and 13.8 meter long screen, 34 adults can lie on it together. 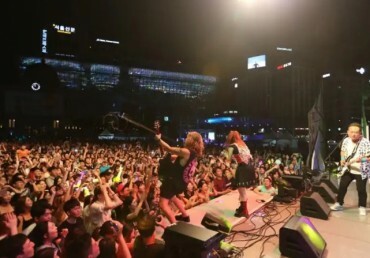 On July 3, a special ceremony was held to commemorate the recognition of the largest screen “Super Plex G” at Lotte Cinema World Tower by the Guinness World Records that confirmed the huge screen has been qualified as the world’s officially biggest screen. The Super Plex G is to be unveiled at the second Lotte World Tower complex which houses 21 big screens and 4,15 seats, according to Lotte World. The huge theater like cinema is under construction in Jamsil in Seoul and the building in itself will be the tallest building in South Korea at 123 floors and 555 meters. 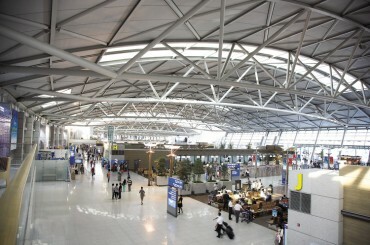 According to Lotte Cinema, the screen of Super Plex G has many “edges” – beside its size — compared with other screens: As it was made by water base resin, it is eco-friendly and with its curved and tilted features, any audience can experience as much brightness when watching the movies no matter where you are seated at the cinema. “With 21 screens and a total of 4,615 seats, Lotte Cinema World Tower boasts Asia’s largest multiplex theater. With Guinness recognition, we take pride in this opportunity of enhancing our brand name and overall image of Korea.” said an official at Lotte Cinema. As the largest-ever multiplex theater in Asia, Lotte Cinema World Tower will offer a variety of special screens like Cine Park, Charlotte Private and Cine Biz and is ready to provide the best sound and image experience for the audience.